Everyone has heard the alarming statistics regarding sobriety and recovery. 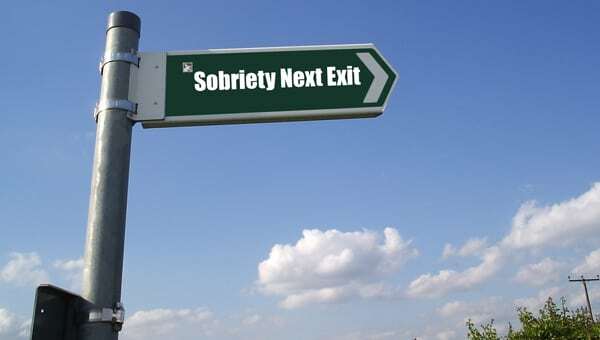 There are some figures that state 80% of people will relapse within their first year of sobriety. Everyone knows that addicts and alcoholics entering recovery are up against tremendous odds and that they suffer from a disease of the brain and from behaviors that often seem to make recovery impossible. However, there are millions of people that recover from addiction, alcoholism, substance use disorders, substance abuse and the like. The question is how do we create the best possible system for someone suffering from addiction to recover? How can the treatment industry and providers do better? First, it’s important to look at addiction as a disease. If a patient is diagnosed with aggressive cancer or another potentially fatal disease, a patient will do everything in their power to receive whatever treatment is recommended by their doctor to ultimately save their life. However, when it comes to addiction, that is rarely so. Many patients refuse acute treatment such as inpatient or residential for any number of reasons. Or they may go to inpatient treatment but leave early AMA (Against Medical Advice). Or they may go and complete inpatient but say “that’s all the treatment I need” or take the recommendations of the inpatient treatment facility and ignore them, instead trying it “their own way.” If they were suffering from cancer or heart disease, rarely would you see a patient not receive as much treatment as was necessary. Furthermore, you wouldn’t see a family disagree with medical professionals regarding their family member’s treatment. Yet with addiction treatment, this happens all the time. Why? Because unlike cancer or heart disease, addiction is not just a medical condition. It is a behavioral, mental, emotional and spiritual condition that is displayed through horrible, hurtful behaviors of the addict. Often, the addiction is telling the addict they don’t need treatment and the behaviors of the addict make it so that the family is alienated, angry and often unwilling to help because so many bridges have been burned and so much trust was lost. What is the Answer to Addiction? Just with cancer and heart disease, addiction is a chronic, progressive and ultimately fatal disease if left untreated. Therefore, just like other diseases, addiction requires long term treatment through various levels of care that deal directly with the addiction as well as the underlying emotional issues such as trauma, fear, guilt and shame as well as any co-occurring mental conditions such as depression, anxiety and bi-polar that may accompany the primary addiction. So the answer is a long term, predetermined path of treatment that engages both addict and family through a continuum of care for up to a year. There are many studies that demonstrate that addiction recovery outcomes are much higher the longer a patient engages in a treatment setting. What does the Road to Recovery Look Like? Whether a patient calls for help, a family member or an intervention happens, initially a patient and their family should have the full year of treatment mapped out as soon as treatment begins. Initially the patient should receive acute treatment in an inpatient or residential setting. This may also include a medical detox and will typically from 20 to 45 days. From that point, the continued care or aftercare plan may include stepping down through phases of treatment, either with that same treatment center or a treatment center working collaboratively with the inpatient or residential facility. This step down model can include partial hospitalization (PHP) with community living for one to three months, which is full day treatment and living but that is not in such an acute setting and the patient can transition back into everyday life while using the recovery tools that they learned in residential treatment. Next they would move on to an intensive outpatient (IOP) level of care and outpatient level of care, while either still in a community living setting or transitioning into a recovery house, sober house or halfway house that offers a free but structured living setting. The patient may also begin seeing a primary therapist individually as well as attending a 12 Step fellowship like Alcoholics Anonymous or Narcotics Anonymous. During the same time frame, the treatment center and perhaps outside help like a recovery coach, individual therapist or recovery monitoring service should be working with the patient’s family to get them on their own recovery path, which may include counseling, therapy, self-help parent support groups or a 12 Step fellowship like Al-Anon. Overall, there is no cure for addiction and therefore there is no 100% guaranteed method of ensuring a relapse doesn’t happen. However, just like other diseases, for the best possible addiction recovery outcome to occur, long term treatment and numerous outside support services need to be in place to best support the addict and alcoholic into a sustainable, long term recovery lifestyle. No addict has to be a statistic, but the best was to make sure that doesn’t happen is to map out a long term, supportive continuing care plan as soon as the addict in need realizes they need help. If you or someone you know is in need of help because of drug and/or alcohol abuse, please give us a call. Maryland Addiction Recovery Center offers the most comprehensive addiction treatment in the Baltimore County, Baltimore City and entire Maryland area. If we aren’t the best fit for you or your loved one, we will take the necessary time to work with you to find a treatment center or provider that best fits your needs. Please give us a call at (410) 773-0500 or email our team at info@marylandaddictionrecovery.com.